Home to Nobel Prize author Ernest Hemingway for nearly 10 years, this incredible property is full of insight into the life of one of America’s most notable and revered authors. Today, guests can step back in time and visit the space where some of Hemingway’s most iconic literary works were formed and drafted. 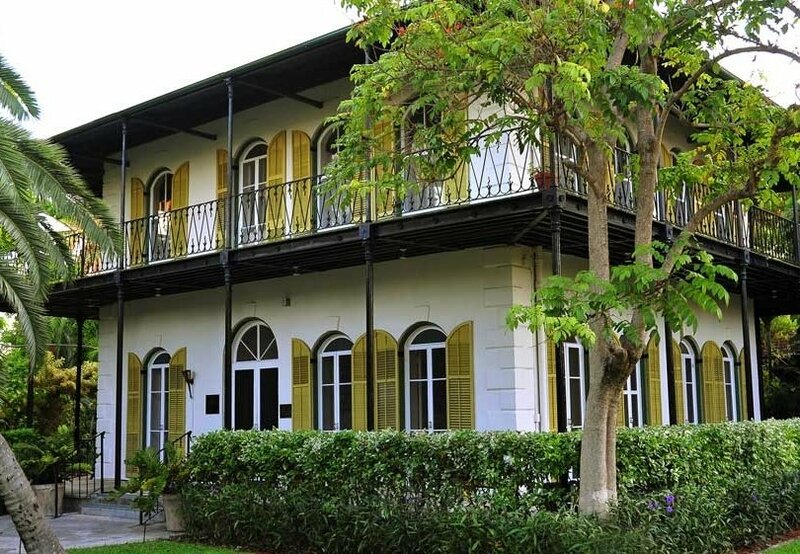 Guided tours through the lush grounds and historical halls will introduce guests to both Hemingway his life in Key West and the over 40 cats. The original house was built in the 1850's and was constructed with the surrounding rock from the grounds around the property. When Hemingway took ownership, in the 1930's, the house was in desperate need of repairs. One of the features that was added to the original was a pool. This was the first in-ground pool in Key West and was also the only one in existence for over 100 miles. Even in the 30's, the cost of the pool installation was an incredible $20,00. Hemingway complained about the cost that at one time he took a penny and claimed that this was his last penny and he pushed into the wet cement pool walls, where you can still see it to this day. During his time on the island, his buddies began calling him Papa, a name that as everyone knows, stuck. The Key West of Hemingway's time is not too much different than that of its current population. From the rich entrepreneurs, poor fishermen, lawyers, artists and treasure hunters. These characters and many others he incorporated into his writing. In fact, "To Have and Have Not" was actually written about the Great Depression in Key West. Another story about Ernest Hemingway was that of his fishing boat the Pilar. The final price tag of his 38' fishing boat was $7500. He had it out fitted with a custom fly-bridge, oversized fuel tanks (that way he could stay out longer and farther to hunt tuna and other trophy fish), as well as 2 motors. One a 75hp for traveling about and the other a 40hp for trolling. In 1940 when he moved to Cuba, he brought is Pilar with him and it stayed there until his death in 1961. His widow then gave the boat to Hemingways Captain, Gregorio Fuentes. It was Fuentez who was the inspiration for the character of Santiago in his Old Man and the Sea. More information about the historic Hemingway House, his cats and his life can be found here.